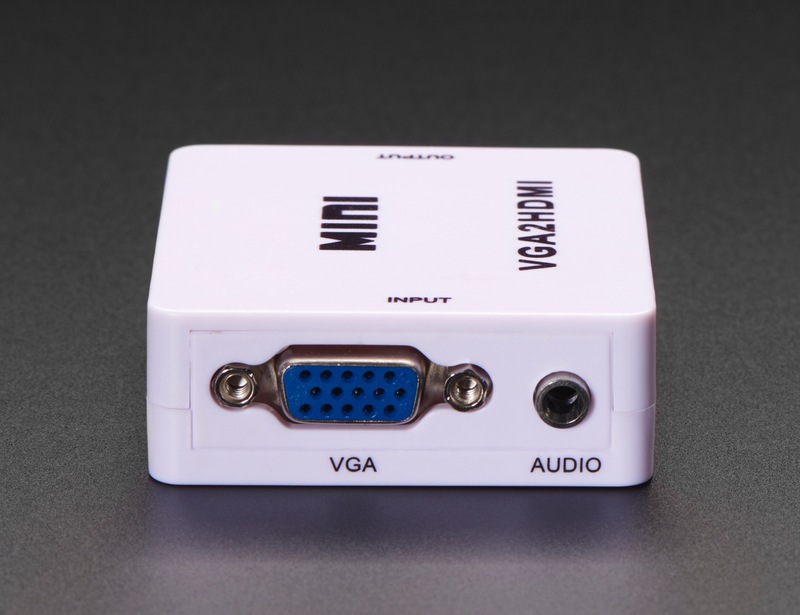 NEW PRODUCT – VGA to HDMI Audio and Video Adapter « Adafruit Industries – Makers, hackers, artists, designers and engineers! 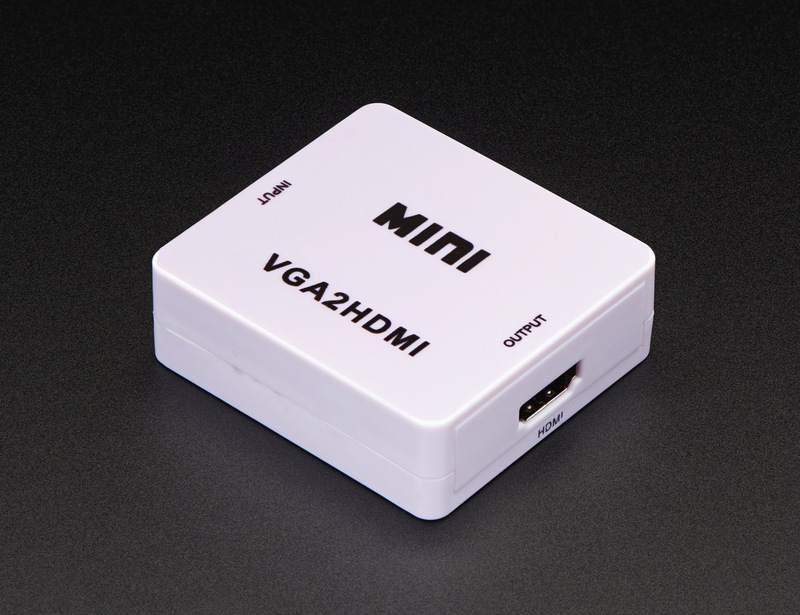 Do you have an an older VGA-output computer, game system, or other device, that you want to hook up to your fancy new HDMI monitor? 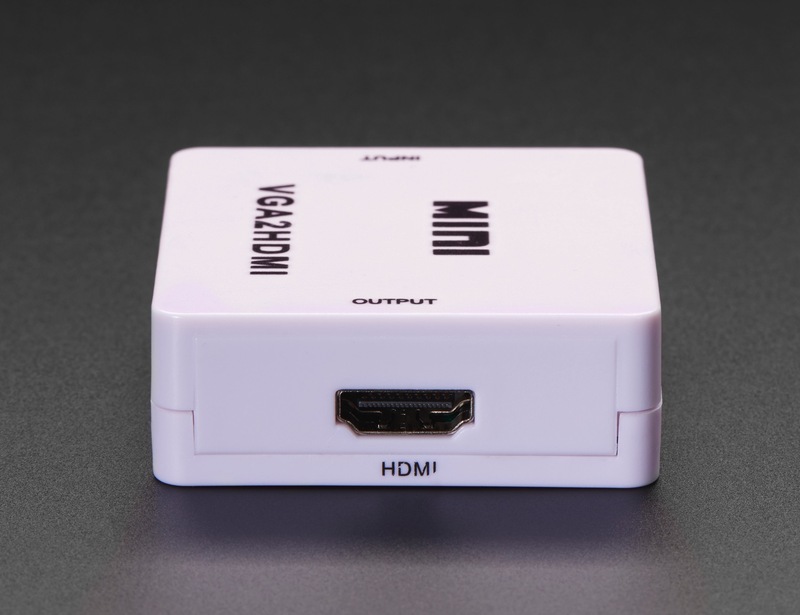 This converter will take a VGA signal and convert it to every-day HDMI so it will work with your computer monitor, display, television, projector, etc. This high-definition video converter will convert analog stereo audio signal and analog RGBHV from the DB-15 plug and combine them together into digital HDMI signal. 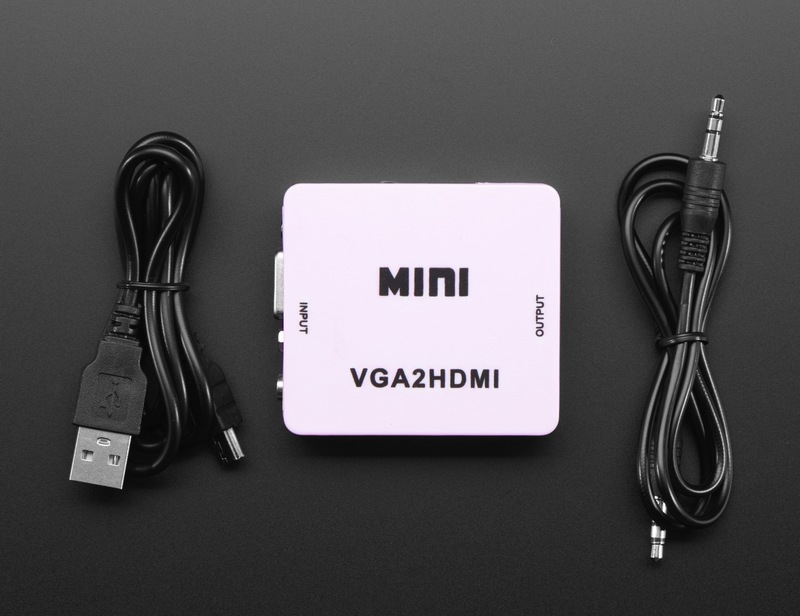 Note: does not come with a USB wall adapter or VGA cable but we do stock them in the shop!